 The Co-Op 513 : The Table : What Do You Have? At times we all have needs, and we all have resources. Let us know what you've got! When it comes to needs our promise is to do whatever we can to help meet them. Tell us what you might be facing. Is it some sort of home or vehicle repair, or gas in your car, help writing a resume, a listening ear, a cup of coffee or a meal, groceries to feed your family, learning a life-skill, or anything else? Let us know. As for the Resources, we've all got them, some have funds to contribute (is so check this out), others have skills to offer. Are you a plumber, electrician, mechanic, someone with computer skills, ready to help someone prepare for a job interview, able to tutor in a subject, or??? Ask yourself, what do I excel at and could use to help someone? We want to add you to our "rolladex"
Fill out the form and we'll go from there! Tell us about your Need or Resource.